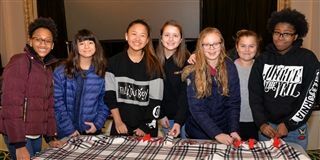 On Monday, Jan. 21, the Service-Learning Office, Social Justice Office, PAATH and DIstINcT hosted a morning of service to honor the life and legacy of Dr. Martin Luther King, Jr. Together we honored Dr. King’s legacy while making a difference in the community. Thanks to all who participated in the various educational and service activities! Click here for photos.